Leaving Paris, we boarded the hi-speed Eurostar train bound for London. To see where we were previously or what we did the night before, feel free to click the link. As you can see, the seats we really spacious and comfortable. Lunch was also served and it was lip-smacking! The Eurostar carriages kinda reminded us of the Shinkansen trains that we have back in Japan. After our journey with Eurostar, we’ve arrived in the Londons’ St Pancras railway station and it was time to disembark the train. St Pancras International is also known as London St Pancras, or St Pancras railway station and it is a central London railway terminus and Grade I listed building located on Euston Road in the St Pancras area of the London Borough of Camden. 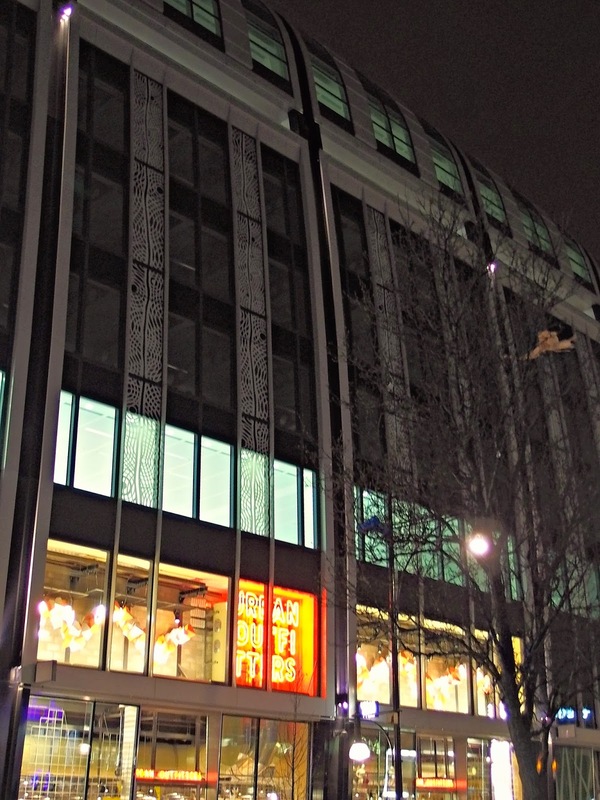 It stands between the British Library, King’s Cross station and the Regent’s Canal and is a structure widely known for its Victorian architecture. 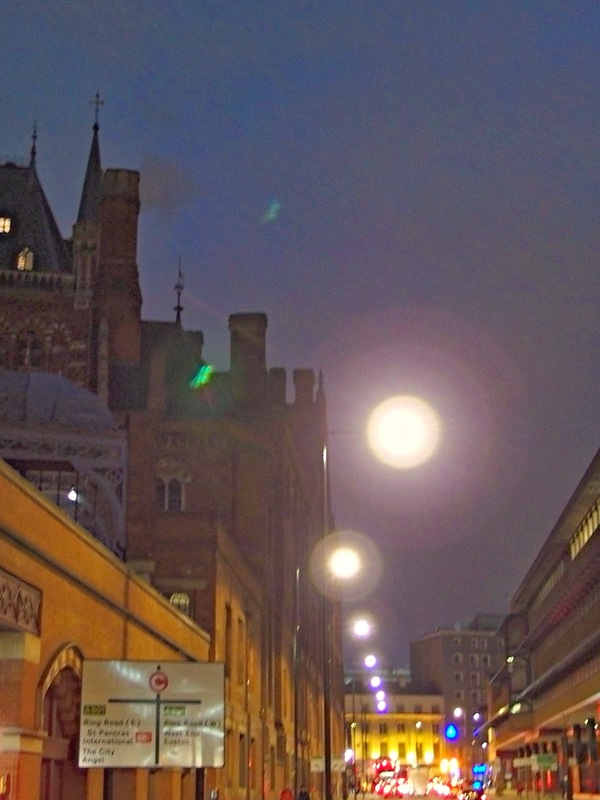 St Pancras International has been voted one of London’s favorite landmarks and has a rich and colorful history. The stunning station in central London is a destination in its own right, with its newly renovated Victorian architecture and shops, restaurants and bars. St Pancras International Railway Station is home to the Eurostar for services to Brussels and Paris. This station has the longest champagne bar in Europe, and also shops, restaurants and cafes. I wouldn’t exactly say it’s the English version of Gare du Nord in Paris, but St Pancras is what Gare du Nord is to France and probably the closest you can get, if one were to make comparisons. The station is the terminus for East Midlands Trains services from London to Derby, Leicester, Nottingham, Sheffield, and smaller towns en-route, and mostly famous for Eurostar’s high-speed trains to Paris, Brussels and Lille. First Capital Connect trains on the cross-London Thameslink route call at platforms beneath the main station, south to Gatwick Airport and Brighton and north to Luton Airport Parkway for Luton Airport and Bedford. High-speed domestic services to Kent have also started servicing, during the last couple of years. For more information on St Pancras railway station, visit it’s official website. St Pancras is often termed the “cathedral of the railways”, and includes two of the most celebrated structures built in Britain in the Victorian era. The train shed,was the largest single-span structure built up to that time. The frontage of the station is a fine example of Victorian Gothic architecture, which now fronts by the five-star Renaissance London Hotel and apartments. This terminal is one of the few in England to feature multilingual signage; all notices are written in English and French. Other foreign-language signs seen include Punjabi, Latin and Japanese too. St Pancras train station was designed by William Barlow in 1863, with construction commencing in 1866. The famous Barlow train shed arch spans 240 feet and is over 100 feet high at its apex. On its completion in 1868 it became the largest enclosed space in the world. One of the most recognizable features of St Pancras International today, the red brick Grade 1 listed Gothic front facade was created as part of a competition in 1865, and became the Midland Grand Hotel – designed by Sir George Gilbert Scott, father of Giles, and built between 1868 to 1876. In 1935 the Midland Grand Hotel was closed and the building became railway offices, and known as the St Pancras Chambers. The station performed an important role during both world wars, acting as a meeting place for troops, a departure point for soldiers off to war, and to help transport children out of London to the safety of the countryside. During WWII the station was hit during the Blitz on London, however despite the devastation, London Midland and Scottish Railway engineers soon had the platforms working again. The greatest threat to the station came in 1966 with plans to amalgamate King’s Cross and St Pancras. However, public opinion then, had been sharpened by the demolition of Euston in 1962. Sir John Betjeman took up the cause to protect the station and, in 1967, the Government listed the station and hotel as a Grade 1 monument. The St Pancras Chambers were then used as BR offices until 1985 before falling vacant in the late eighties. By the early nineties, emergency safeguarding works were undertaken to combat roof leakages and general decay. St Pancras International remains one of the greatest Victorian buildings in London. It has become not just a key destination for Eurostar and high-speed rail in the UK, but a fantastic retail and hospitality destination, a great place for filming and photography and an usual space for hosting events. Another noteworthy date is when the extremely popular St Pancras Renaissance London Hotel opened its’ doors, in Spring 2011. Boasting 244 luxurious bedrooms, a handful of meeting and event rooms with a maximum capacity of up to 550 people, the Gilbert Scott restaurant run by celebrity chef Marcus Wareing, and stunning public spaces including The Booking Office Bar which offers direct St Pancras International platform access, this hotel is a true all-rounder. 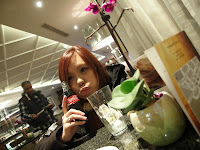 Upon exiting St Pancras railway station, we took a taxi to our hotel. We chose to spend our nights at the Thistle Marble Arch Hotel simply because of it’s convenient location. 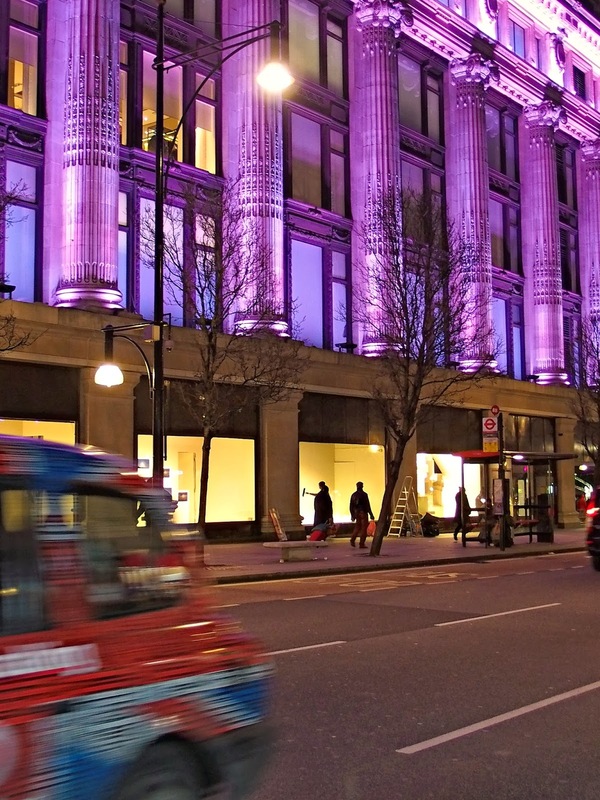 Thistle Marble Arch Hotel is in close proximity to the tube (subway), historical monuments, modern shopping streets and with easy access to great food too! 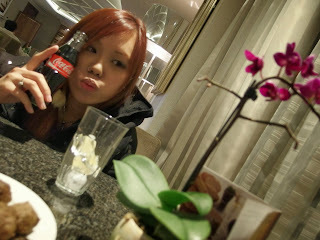 The rooms were really spacious, the hotels’ interior decor was wonderfully done, plus splendid views of the city below. Oh, and the staff are very professional in what they do. I suppose if there were to be a downside, that wound be the price. Personally, I feel it was a little expensive yet, it was money well-spent – you basically get what you pay for. Everything about the Thistle Marble Arch hotel, says “style”. From its classic Art Deco design to its location being close to the exclusive Bond Street and also overlooking Oxford Street, this hotel in Central London is the perfect place to stay and explore the capital. And this is our comfy bed! Whether travelling for business or pleasure, the Thistle Marble Arch Hotel ticks all the boxes. Once we were done checking in, we headed for dinner just before we hit the town! 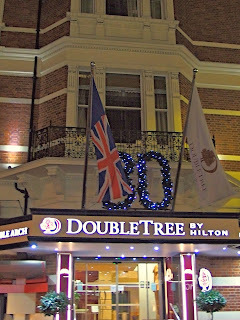 As mentioned above, Thistle Marble Arch Hotel is very conveniently located – we didn’t even have to walk much before realizing that we’re already there! 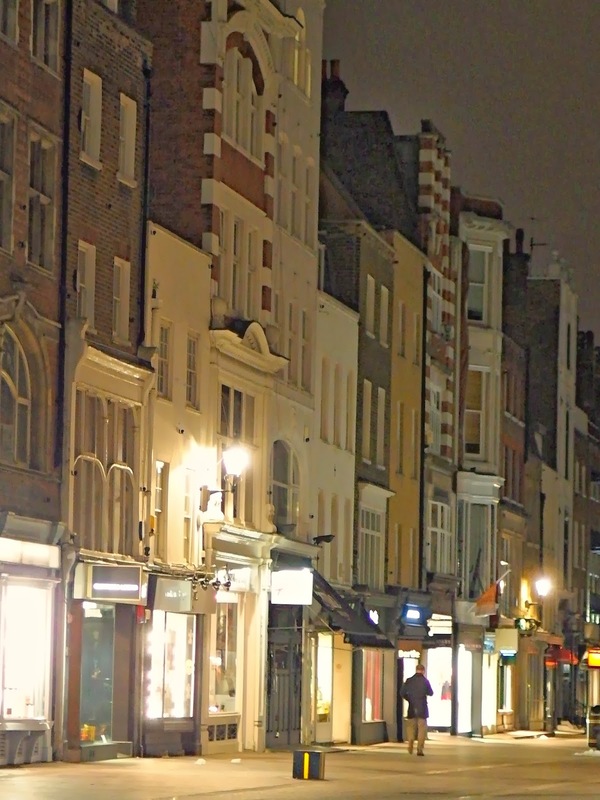 Bond Street in Mayfair is home to the most elegant and expensive shops in London. Designer clothing such as Gucci and Armani; perfume; art and antiques; and more Royal Warrant holders (the suppliers to the royal family) than anywhere else in London. 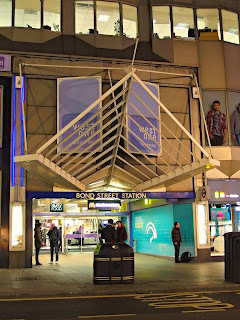 New Bond Street is a few minutes walk from Bond Street Station and is connected by pedestrian-only South Molton Street, while Old Bond Street is the short section at the Southern end which joins Piccadilly. 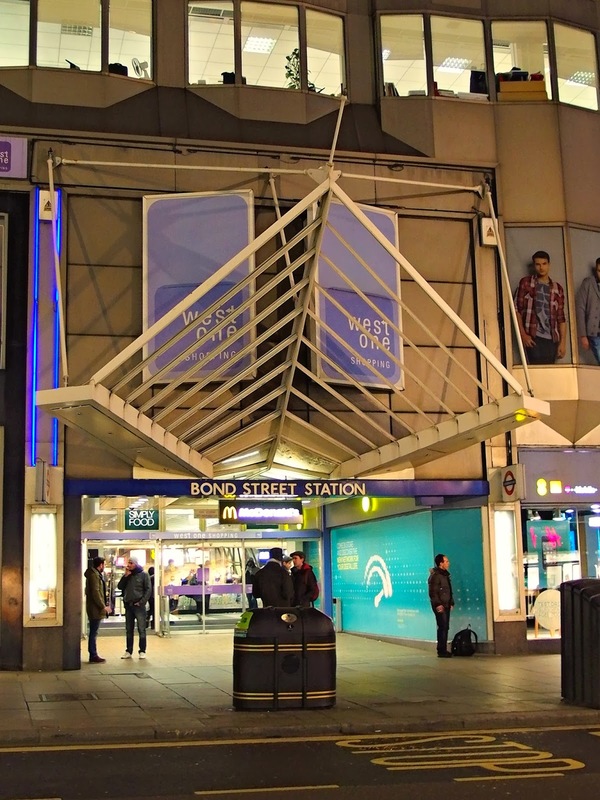 For serious fashionistas, Bond Street is the place to be seen in and to shop. 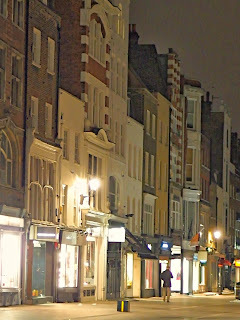 Bond Street – formed of New and Old Bond Street, boasts one of the biggest and best concentrations of designer shops in the world, including Donna Karan, Prada, Louis Vuitton, Chanel, Nicole Fahri, Armani, Versace and Ralph Lauren. Quintessentially English style can be found at Mulberry and Burberry’s flagship stores. Bond Street also plays host to Sotheby’s auction house and a number of antique stores and markets have popped up in the area. If you or your other half has a thing for diamonds, you should know that Cartier, Tiffany and Asprey are among the many very exclusive AND expensive jewelers on this exclusive, read; expensive street. Oxford Street is one and a half miles from end to end. Most shops open 10am until 7 or 8pm. Many also open on Sunday from 12 to 6pm with late nights on Thursday. 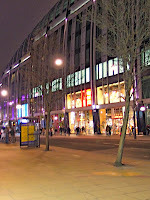 Oxford Street is best known for Selfridges and the other big department stores like Primark, to name a few. Most of which are all found in the section from Marble Arch to Oxford Circus, along with most of the big-name multinationals. 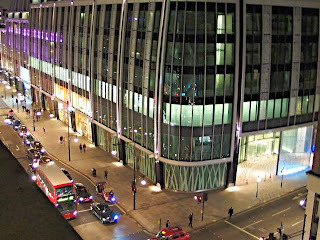 It’s more of the same towards Tottenham Court Road, but generally on a smaller scale. 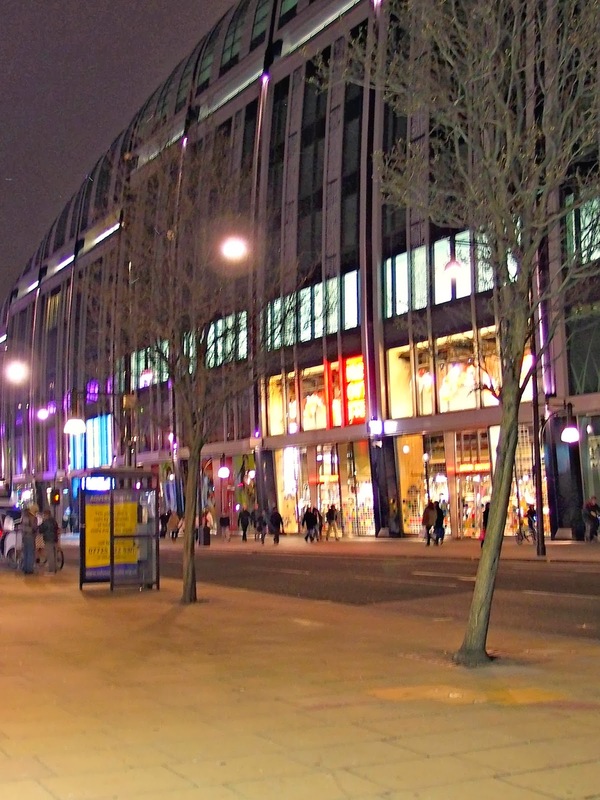 Oxford Street is said to be the busiest shopping street in Europe. 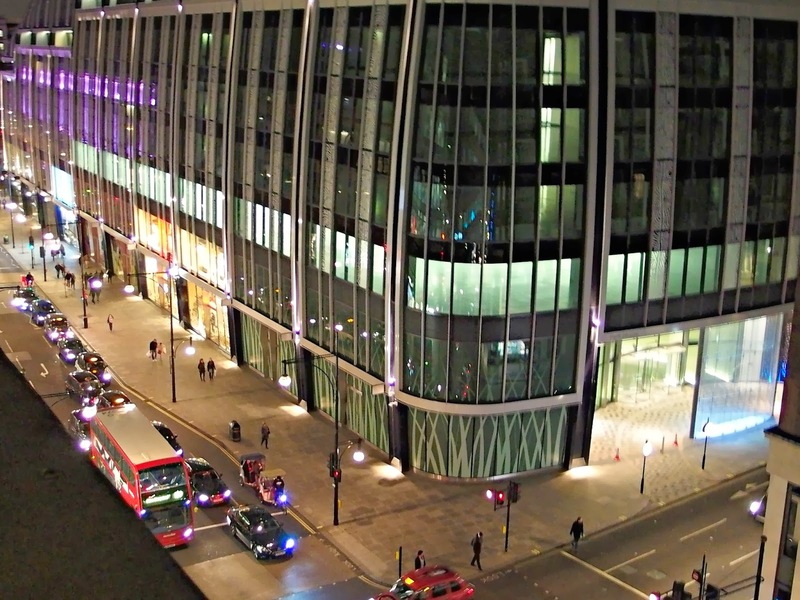 With over 200 million visitors a year, more than 300 shops and 5 million square feet of retail space, Oxford Street lays claim to being London’s busiest street. 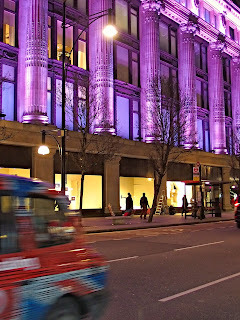 The opening of Debenhams and Selfridges in 1909 marked the beginning of the street’s dominance as a shopping center. Among the chaos and bustle, retail therapists will find an oasis of calm in the area’s unrivaled collection of department stores. Debenhams has a great line in designer garments at more affordable prices. Look for Jasper Conran and Lulu Guinness. Who doesn’t love John Lewis? From fabric to feather boas, children’s toys to cutlery this store stocks the lot. They have a “lowest price” guarantee so you can buy with confidence and the simple lay out means you won’t spend hours searching for it either! Less intimidating than Harvey Nicks and more down to earth than Harrods, Selfridges is the department store of Londoners. There’s an incredible selection of British and International designers available and plenty of great restaurants and cafes to chill out in if you get a bit tired. Oxford Street also offers some of the best choice in terms of High Street fashion, if you can fight your way through the crowds. Among the best shops are inexpensive but stylish Spanish favorites Zara and Mango, up to the minute trends at Topshop’s flagship store and its male counterpart Topman, Benetton and French Connection or cheap and chic Swedish store; H&M. 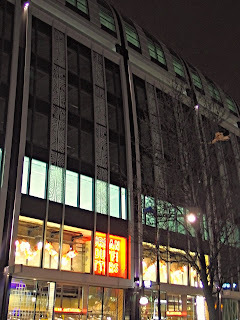 Hot on their heels is Niketown – several floors dedicated to sports wear in every conceivable guise and color. 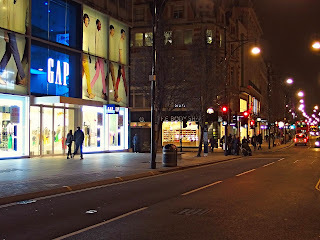 The street is also bordered by two Primark stores – one at Marble Arch and the other Tottenham Court Road – so shoppers have two opportunities to pick up some serious bargains, provided you’re willing to fight among the crowds and embark on the challenge of finding your size.